What’s Wrong with a Black Brit Playing a Black American? 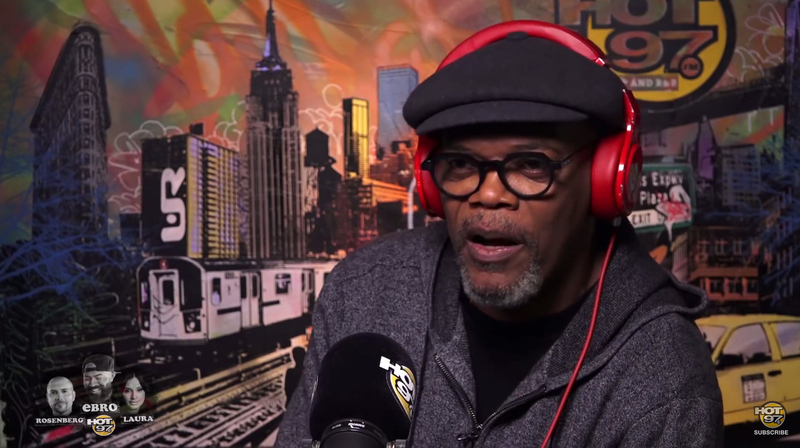 In a somewhat lengthy interview with hip-hop radio station HOT 97, highest all-time box-office star Samuel L. Jackson offered his comments on Jordan Peele’s (fantastic) recent film, Get Out. Considering the increased awareness and pushback around and against whitewashing in Hollywood film productions, Jackson’s comments opened a new channel of discussion if not a new perspective. The application of American racial standards, and the experience of biases that come with it, is a distinctive and somewhat off-putting position, but the underlying thesis is definitely one that’s been held and presented before. The idea that an experience is unique to a culture, subculture, or other group in such a manner that it could not be adequately expressed via an artistic work created by anyone outside of said group has been part of the conversations around art is nothing new and is extremely justified and necessary when discussing certain types of policies and productions. However, this may be one of the first times that an actor of color has called credibility of performance into question based on the performer’s nation of birth. Casting European actors to play American characters happens all the time, and while there are definitely some misfires, there is also a remarkably solid track record. Idris Elba and Dominic West gained tons of acclaimed for their roles as Stringer Bell and Detective McNulty (respectively) on HBO’s The Wire. A decade prior, Tim Roth jumpstarted his career as Mr. Orange in Quentin Tarantino’s Reservoir Dogs and John Mahoney brought in weekly doses of canned laughter as Martin Crane on NBC’s Frasier. So the question really is this: how much of the experience can be translated to screen effectively when said actor may not have experienced the American brand of racism directly? To me, the answer is all of it. A person of color in America doesn’t have the luxury of deferring to nuance as a way to elude the homegrown bigotry that seems to be embedded in the DNA of the land. Daniel Kaluuya is a Londoner at home, but among our amber waves of grain, he’s a black dude. Perhaps to some of the less-traveled of our countrymen, he may be a black dude who talks funny, but he’s still a black dude. The same goes for David Oyelowo, who was born in Oxford and played Dr. Martin Luther King Jr. in Selma; for Chiwetel Ejiofor, another Londoner, who won the Academy Award for playing Solomon Northup in 12 Years a Slave; and Ejiofor’s costar Lupita Nyong’o, who was born in Mexico City to Kenyan parents. Not a single one of them is African American by the literal definition, but all of them are black by American standards. The concept of universality has no limits on duration. The experience of a person who was mugged 40 times doesn’t invalidate that of someone who was mugged once. They’re both victims. Similarly, an African American actor who grew up in the racist environment of the United States doesn’t invalidate the prejudice and bigotry faced by a European with a permanent tan who just arrived in the country a few days ago, particularly when it comes to fictionalized portrayal of theme. And it’s this last point that I believe Mr. Jackson is overlooking. This movie was so much about representation of the African American experience . . . Early on, Daniel and I had a Skype session where we talked about this and I was made to understand how universal this issue is. Once I’d wrapped my head around how universal these themes were it became easy for me to pick Daniel, because at the end of the day, he was the best person for the role. It’s not about aesthetic; it’s about authenticity. If appropriate reverence is given, and the production is of high quality, that’s what matters. Mr. Jackson does has a point—that more nonwhite or, more specifically, more black talent need opportunities in American cinema. But I don’t believe that we need to tear down in order to rise up. T. Aaron is a local science-fiction author, award-winning television producer, veteran touring musician, lifelong Trekkie, co-founder of TC Trek Trivia and Wibbly Wobbly Wednesdays (Doctor Who Trivia), contemporary fashionisto, and above all else, an incorrigible nerd.